Remove one of your Blue dice. 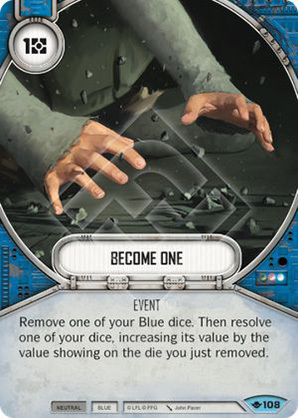 Then resolve one of your dice, increasing its value by the value showing on the die you just removed. Way of the Force #108.